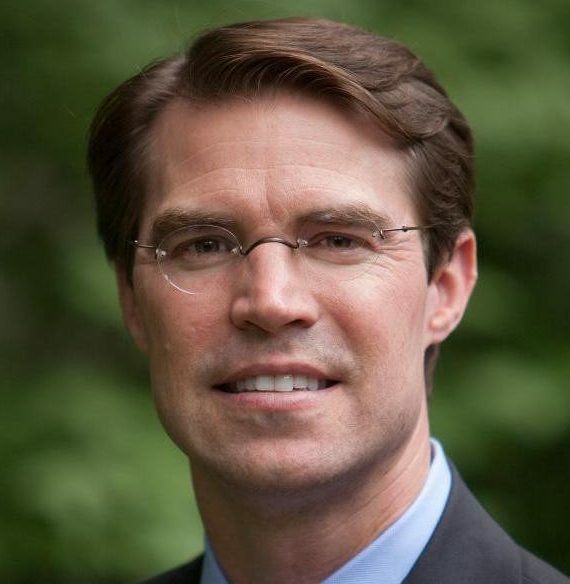 Sean is a longtime Kalamazoo Democrat who served two terms in the Michigan House of Representatives, holding the 60th District seat from 2010-14. But, he lost to current incumbent Republican Margaret O’Brien in a close state Senate race in 2014. 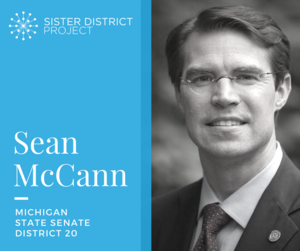 Sean is a lifelong Michigan resident and graduate of Western Michigan University who has devoted his life to serving and improving his community and all of Michigan. Sean graduated from Western Michigan University in 1993 with a degree in political science, and served on the Kalamazoo, Michigan City Commission for ten years, starting in 1999. He was elected to the Michigan House in 2011. In 2013, he proposed the creation of an independent commission to draw legislative districts in the state, in order to help prevent gerrymandering. He worked for the Kalamazoo Red Cross and the Vine Neighborhood Association. In 2014, he ran against Republican Party nominee Margaret O’Brien and Libertarian Party nominee Lorence Wenke for the 20th district seat in the Michigan Senate. He lost to O’Brien after a recount widened from 59 votes to 61 votes. As a local neighborhood leader, Sean worked to revitalize neighborhoods, clean up blighted areas and bring neighborhoods together. As a city commissioner for 10 years, Sean dedicated his energy to build a sustainable vital downtown Kalamazoo, strengthen public safety, improve neighborhoods and clean up the Kalamazoo River. As a state representative for four years, Sean worked to strengthen public schools and higher education institutions, protect children, reform partisan gerrymandering, protect the environment and improve public transportation. Sean is a small business owner and lives in Kalamazoo with his wife, Priscilla, and their two children, Alex and Lauren. While our area has improved since the recession, many of us are still feeling a financial pinch. Prices have gone up across the board, but our paycheck has remained the same for years and our dollars aren’t stretching as far. That’s why Sean supports economic policies that help working families and small business owners put more money in their pockets through tax relief for seniors and families. Quality public schools, higher education and skilled trades programs are Sean’s highest priorities. As we move into a globally-connected economy, improving the quality of education at home will make us more competitive for higherpaying jobs, which will build successful lives in our cities for the long run. Kalamazoo County has lost millions of dollars in tax revenue from the state over the last few years. This is money that’s desperately needed to maintain our police and fire departments, and repave our roads and bridges. Sean McCann will make sure the state keeps its promise to keep us safe and invest in the places we live and work. Due to partisan gerrymandering, Republicans hold a drastically unfair advantage and are over-represented in the Michigan state legislature. It’s critical for Democrats to win seats and make blue inroads before the 2021 redistricting.